Organizations are collecting and analyzing increasing amounts of data making it difficult for traditional on-premises solutions for data storage, data management, and analytics to keep pace. 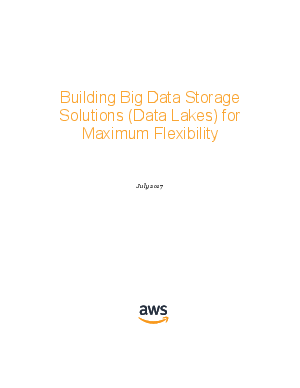 Amazon S3 and Amazon Glacier provide an ideal storage solution for data lakes. They provide options such as a breadth and depth of integration with traditional big data analytics tools as well as innovative query-in-place analytics tools that help you eliminate costly and complex extract, transform, and load processes. This guide explains each of these options and provides best practices for building your Amazon S3-based data lake.